Over the years, Dr. Jason Fowler has built great relationships with patients who have anxiety about dental procedures. By prioritizing their comfort while receiving treatment, he makes the dental visit a positive, low-stress experience. Part of creating a patient-centered approach is Dr. Fowler’s use of sedation dentistry. This form of treatment is safe, administered without needles, and effective for nearly every patient. If you are feeling anxious about your dental appointment or delaying your care because of stress over your visit, Dr. Fowler encourages you to learn more about this option. Sedation dentistry is a set of techniques for reducing anxiety and fear. It can improve your dental experience and allow Dr. Fowler to conduct treatment more effectively. The two forms of sedation dentistry that Dr. Fowler generally uses are nitrous oxide (laughing gas) and oral conscious sedation. Both are safe and low-impact options that can significantly help patients. There are no needles or IVs involved in its administration. You can reduce your anxiety level so that you are comfortable during your appointment. You should feel calmer while remaining conscious and responsive. Sedation dentistry may also help you get more comprehensive care during your dental appointment. Anxious patients often prefer to have their treatment broken up into multiple visits. By reducing your anxiety, you can receive the care you need with fewer appointments, which can save you time and money. Dr. Fowler’s patients often ask what it’s like getting treatment with sedation techniques. They want to know if they will actually have less anxiety, and they want an idea of how they will feel during the procedure. When you take sedation medication, you should feel significantly calmer about receiving your dental treatment. The medication Dr. Fowler uses is an anti-anxiety pill that targets the drivers of the stress response. It works rapidly to create a relaxed feeling and can even have an amnesia effect where you remember little to nothing about your visit. Nitrous oxide is a safe, effective, and fast-acting sedative that you inhale through a small plastic mask. You should feel its effects within a few minutes. Most patients describe the sensation as feeling light-headed, experiencing tingling or heaviness in their arms and legs, and having an overall sense of calm. Because these effects will wear off soon after you remove the mask, Dr. Fowler can administer the sedation for the exact amount of time you need, and you shouldn’t feel groggy after treatment. Both nitrous oxide and oral medication will reduce heightened awareness, but you will still be responsive during your treatment. This means that you will be able to answer questions or let Dr. Fowler know if you have any concerns. You will remain aware of your surroundings but you will be less responsive to external stimuli. These techniques will not put you to sleep like general anesthesia can. However, you may feel comfortable enough to experience a sleep-like state. Dr. Fowler designed our practice to be an inviting, calm space. When you arrive for your visit, you will be greeted warmly. We promise to make your wait in the reception area as short as possible. We respect your schedule and strive to see every patient at their reserved appointment time. Our team has cultivated a family atmosphere that extends to our relationships with our patients, many of whom we have treated for years. As part of this approach, Dr. Fowler will prioritize your comfort throughout the experience. He will spend time getting to know you as a person and a patient. During the consultation, he will explain his treatment plan and answer any questions you may have. Even if you are going to have a minor procedure, he can talk with you about your options for reducing anxiety. 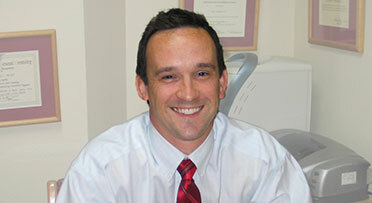 Dr. Fowler offers sedation dentistry with nearly every treatment he conducts. Regardless of whether you choose sedation, Dr. Fowler will work gently, calmly, and carefully when he performs your procedure. He will move at whatever pace you need and check in with you along the way. As a result, you can expect both a great experience and a great outcome in his care. If you have been delaying treatment or if you are feeling anxious about having a dental procedure, visit Dr. Fowler to learn about sedation dentistry. Contact his practice online or by phone at (817) 731-6386.